READY TO ENHANCE YOUR OUTDOOR LIVING AREA OR EXTERIOR ? LIVING STONE Outdoor Living Contractors Is Ready to Turn Your Dreams into Reality. Committed to the highest standards in quality materials and workmanship. We specialize in quality and value and deliver perfection. Our inspirational designs and projects stand the test of time. Utilizing only the best products and construction procedures. We build to last. Our professional, uniformed team is committed. We utilize background checks and random drug testing. They will not smoke, use foul language or listen to loud music on your project. Best in the business. We only employ experts in their respective fields of expertise. Investing in constant training and certification programs. Our goal is providing excellent service using the highest quality products. Our attention to detail and craftsmanship is second to none. Our team takes pride in every project as if it were our own, whether simply a walkway or a complete outdoor living space. "Robert Monitzer leads a respectful crew and has a eye for pure greatness. I was so impressed with not only how beautiful my new patio looked/looks but how quickly yet efficiently the job was done. So impressed that I have hired them to come back." 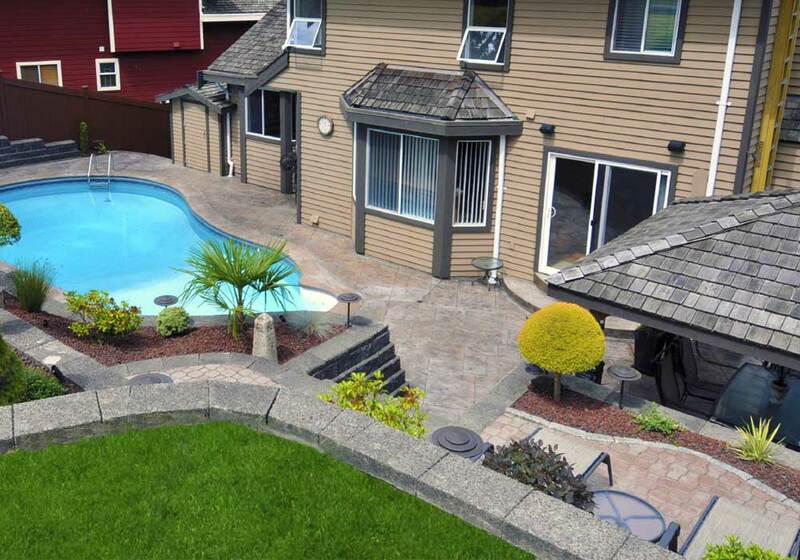 "We used Living Stone to redo our backyard, the results are simply amazing. Their passion for the landscaping profession is evident in every step of the process. At the end of each day the area was free of debris and the progress of the days work clearly evident." “We greatly admired the work Living Stone did for my cousin, so we had them do our large driveway, walkway and two sets of steps with pavers. We love our steps, landing and driveway!" “We interviewed a handful of companies, but Living Stone was the only company who presented our dream on paper. Our backyard was transformed from slabs of concrete into an oasis within days of landscaping, hardscaping and lights. Our breath was taken away with the final results."